I continue to hear geeks (like me) talk about Linux and how it's going to eventually rule the Operating System (O/S) space eventually. They say, "Look at Android!" and I say, "Look at Chromebook!" I agree Linux is a great operating system and has come far from the early days when you had to deal with complicated and inaccessible command lines and customer configurations. On the other hand though, the thing that continues to hamper Linux both at home and in business is applications. Yes, you can get some Microsoft Office look-alike programs that do 50-80% of what Microsoft's versions do, but you don't get support for those (community support aside) without paying extra. You're not going to run a business on something with no support. When you add support in, it still costs less than Microsoft's Office, but its not nearly such a good deal any more. Office isn't the only app at issue either... can you run Quickbooks on Linux? (I honestly haven't checked lately, but I'm guessing not.) Can you run your company's tightly-integrated Windows-based ERP system on Linux? The number of top-tier software companies that support Linux is expanding, but it's just not there yet. Until you have good solutions for the app problem, Linux will remain the red-headed stepchild in the O/S space. Cloud has the potential to even the playing field somewhat, but look at Google Chromebooks... the technology is there but they fell flat on their face with the marketing. They have the same app problem Linux does too... there's only so much available for the Chromebook and there aren't enough cloud-based services to satisfy people (at least not yet). Android is the stand out in the lineup. And why has Android succeeded while Linux has not? Because of apps. Initially, nobody besides geeks (like me again) bought the devices, but as the number of apps exploded so did the platform. It doesn't matter how good your O/S is, if you can't DO anything with it, nobody will buy. So, until Linux (and Google's Chromebooks) proves to people (especially businesses) that they are ready for the enterprise they'll remain what they are... cool toys for geeks like us. If you've ever connected a workstation to Office 365 and then been constantly prompted for your credentials you know how frustrating it can be. Have you ever checked that box in Outlook to "Remember Password" and then screamed in frustration as yet another logon prompt came up? We're with you... lots of us! I've had a look around at the various resources for troubleshooting these issues and brought them together. This is by no means an exhaustive list, just some links that I've found useful. If you have suggestions to add I'm all ears. I hope the list helps! Coming from Exchange environments: make sure your Autodiscover DNS records (internal and external both) point to the correct place. See also the Troubleshooting Autodiscover video. Coming from BPOS (and possibly other Exchange systems) follow the instructions at http://support.microsoft.com/kb/2644437 to remove registry entries on clients that stubbornly don't update their Autodiscover. If Outlook discovers the wrong (old) Exchange system you have problems. Use “outlook /rpcdiag” to ensure Outlook is connecting to Office 365. You can also control-right-click on your Outlook icon in your system tray and choose the option for “Connection Status.” You should see connections to the cloud-based e-mail servers, not legacy servers. Good steps at http://www.petri.co.il/testing_rpc_over_http_connection.htm. 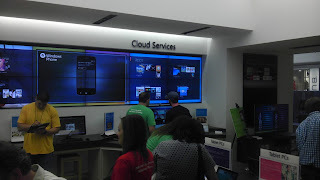 Recent Kansas City tech events have been on fire with Google Fiber this and Google Apps that, but there's another technology leader in town that has been a solid partner, if a little more quiet, to Kansas City for much longer than Google... Microsoft. First, a little history and information - Microsoft was founded in 1975 by Bill Gates and Paul Allen, does nearly $70 billion in revenue world wide, and employs 90,000+ workers. They produce hundreds of products across many markets and their Windows desktop operating systems and Office productivity suites and have become the de facto standard for business operations as well as for consumers. 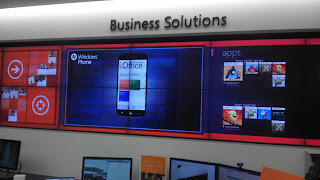 What many of you may not know is that Microsoft has an office right here in the Kansas City area. 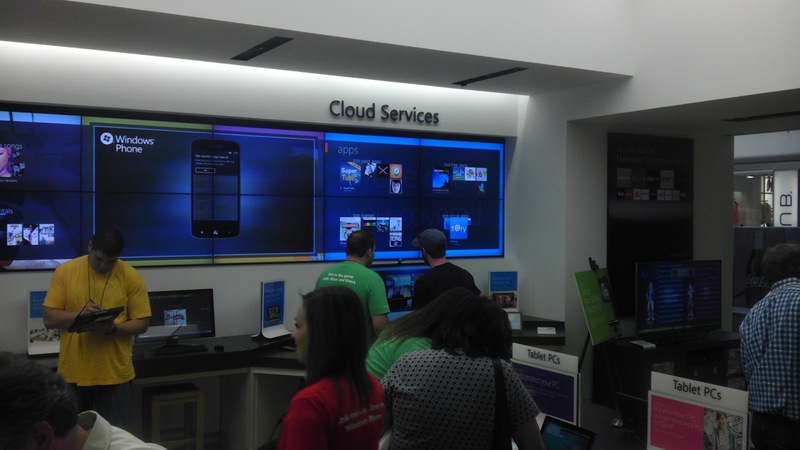 According to LinkedIn, there are over 100 local Microsoft employees based in the KC metro. 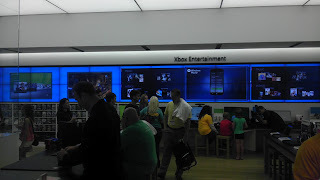 Along with other offices in the Midwest the local office supports Microsoft's North Central District which includes Iowa, Kansas, Minnesota, Missouri and Nebraska. Back to the story... Microsoft has a history of partnering with Kansas City. They are a member of the Greater Kansas City Chamber of Commerce's Leadership Circle - a group that works on behalf of Kansas City in Washington D.C., Jefferson City and Topeka. Together, members support efforts to enhance quality education, encourage regional cooperation, develop Downtown and encourage growth in the life sciences industry among other issues. Recently, they sponsored the Gigabit Challenge in collaboration with Think Big Partners and a virtual who's who of Kansas City companies. Microsoft has either directly delivered or provided guest speakers for literally hundreds of local events over the last 10 years. 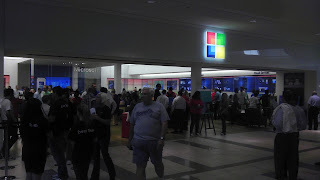 They've hosted huge release events for Windows and Office in Bartle Hall. They've presented to user groups and corporate boards. And they regularly host partner companies in their own offices for a great variety of events. Microsoft has engaged with Kansas City. Their local office is an invaluable resource for the hundreds of area technology companies that depend on Microsoft for their technology and partnering support expertise and resources demanded by the ever-changing and accelerating Information Technology race. According to Microsoft's career website there are 35 open positions that mention the Kansas City area. There appear to be 107 open Microsoft-related positions in Kansas City according to a job search on LinkedIn. If you search on Indeed.com for "Microsoft" it appears there are 2,180 open Microsoft-software related positions in the Kansas City area. That's a lot of high-tech computer, business and sales jobs that depend on Microsoft software and their partner ecosystem! 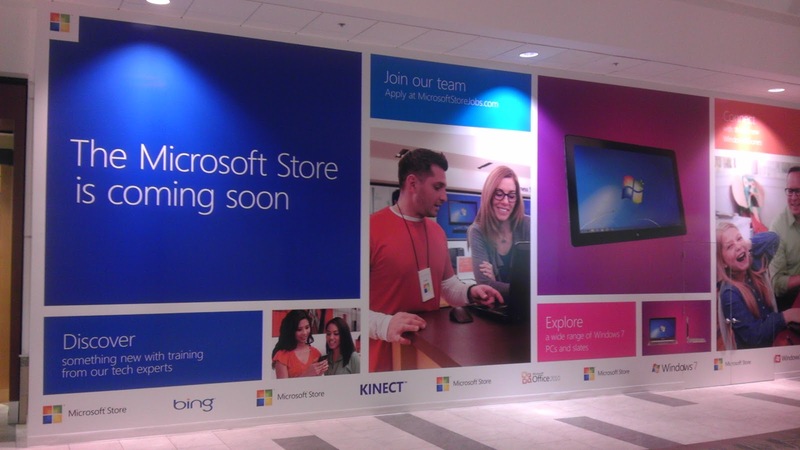 Recently, Microsoft announced the opening of a new Microsoft Retail Store at Oak Park Mall. The grand opening event is scheduled for June 28. See the announcement from May 17th. So, remember as your company considers new technologies like "cloud services" that you have a partner - actually 84 Microsoft Partners according to Microsoft's Pinpoint and seven for Cloud Computing alone - in Kansas City. No matter which industry you fall within - manufacturing & distribution, financial, local / state / federal government, legal, professional services, education, healthcare, etc - there is a Microsoft Partner match for you that specializes in providing technology services specifically to customers that look like you. The hundreds of Information Technology workers across those 84 Microsoft Partners can provide the expertise and personal attention you expect from a top service organization like Microsoft - backed by Microsoft itself with all the resources and know how of the premier business computer technology company in the world. PS. 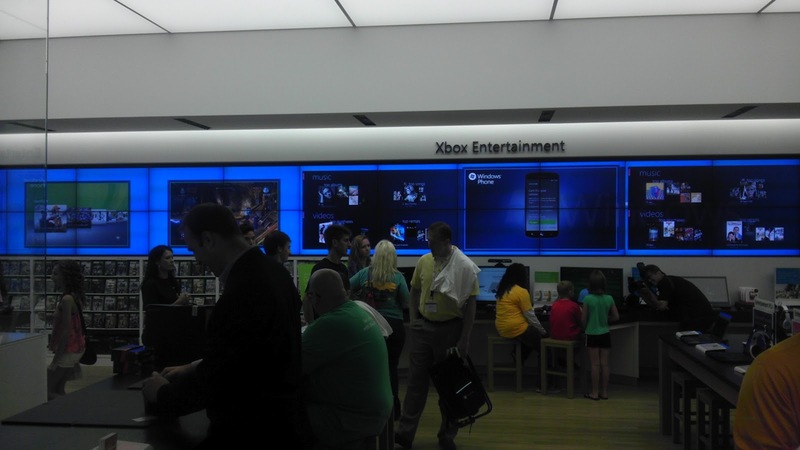 Scott Cameron is not an agent of nor does he represent Microsoft directly in any way. This article was not reviewed nor approved by Microsoft. All information is publicly available. 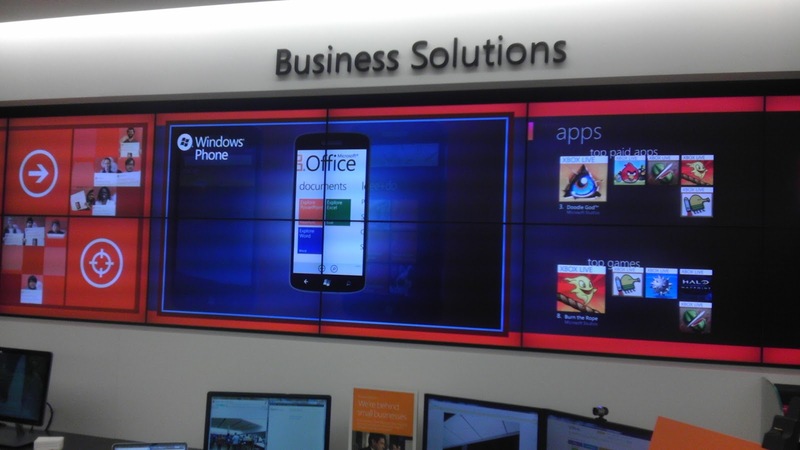 Will Windows 8 Kill the User Interface Competition?